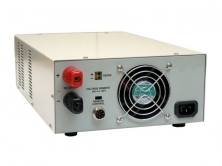 This 900W ( 60A, 1-15V) switching mode power supply has Main output at back and a 5A aux front output. It has wired remote on/off , voltage & current control and remote sense . 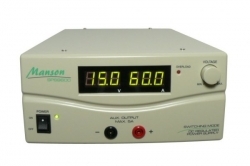 3 digit current & voltage meters , Constant Current Over-load Protection & Floating ground design. Front terminals 5A (SPS-9600) / 3A (SPS-9602) limiting. Remote Sensing for remote point of regulation.